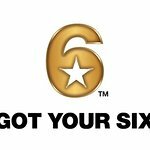 Got Your 6 has unveiled the latest round of “6 Certified” projects, recognizing film and television programs that work to normalize the depiction of veterans. Programs to receive the honor of being “6 Certified” include the feature film “Max,” episodes of “Fargo,” “Girlfriend’s Guide to Divorce,” “Marvel’s Daredevil,” “Saturday Night Live,” USA Network’s forthcoming “Shooter,” and “West Texas Investors Club,” among others. Full list of honoree statements below. After the project has met the requirements for certification, it may be submitted by a studio or production company once the project enters post-production. After the submission is complete, the project will be evaluated by the “6 Certified” Review Committee; a group of subject matter experts who review all submissions and grant “6 Certified” status. The current members of the “6 Certified” Review Committee are Rajiv Chandrasekaran, journalist and author; Bruce Cohen, producer of “American Beauty” and “Silver Linings Playbook”; Greg Silverman, president, creative development and worldwide production, Warner Bros. Pictures; Charlie Ebersol, chairman and founder of The Company; Bill Rausch, executive director of Got Your 6; Laura Law-Millet, Army veteran and Chief Operations Officer at the GI Film Group; and Major General (Ret) Sharon K.G. Dunbar, vice president, human resources, General Dynamics Mission Systems. Additional information on certification is available here.